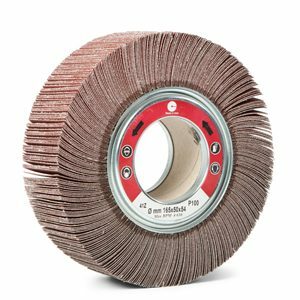 The abrasive scored flap wheels with hole are suitable for grinding and finishing of all types of contour and profile surfaces. 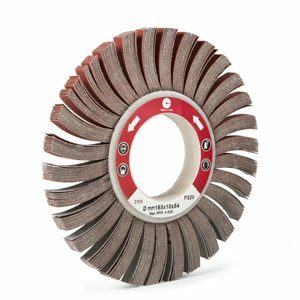 Designed to assure a uniform conformability and a better finish than the traditional flap wheels. Same diameter wheels can be used together without problems because the finish will be always uniform. 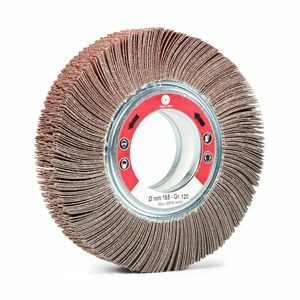 Abrasive spaced flap wheels, thanks to their lightness and flexibility, allow a perfect finishing in particular on shaped surfaces or in difficult access areas. Wheels are produced in several dimensions and grits. 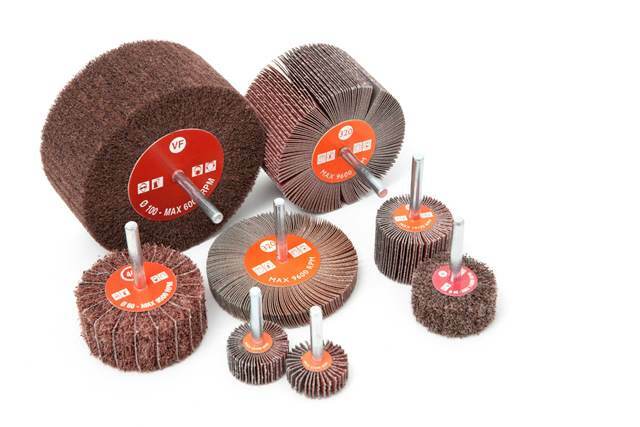 Cloth flap wheels with Zirconia abrasive are used for stronger grinding operations with portable or fix machines. 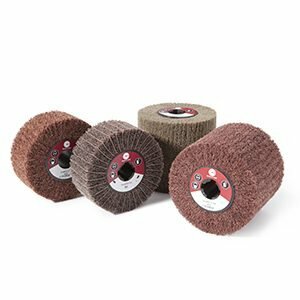 X cloth backing make these wheels very suitable to many applications. Lots of grits and dimensions are available. 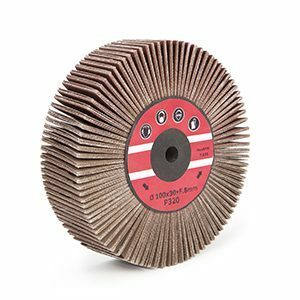 Cloth flap wheels with A/O abrasive are used for grinding and finishing operations with portable or fix machines. 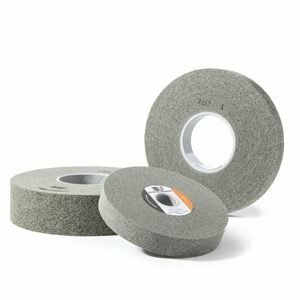 X cloth backing make these wheels very suitable to many applications. Lots of grits and dimensions are available. 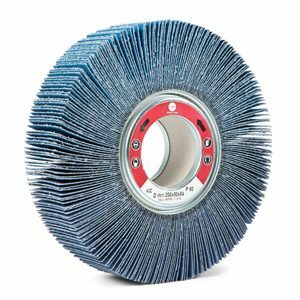 These resin-bonded wheels are manufactured by rolling up non-woven fabric on a rigid core. Compact wheels in different harnesses are derived from this process, offering a wide range of applications on manual and automatic machines. Flap wheels with hole for gold market can be produced with cloth, non-woven and interleaved. They will be used with angle senders with M14 attachment and are particularly indicated for shaped outlines working.